Homeowners who plan to sell their home soon know the importance of making sure it looks its very best. But in the rush to clear out the clutter, freshen the rooms with new paint and clean the carpets, another problem area may be overlooked— the home’s siding. Homes that have damaged or dilapidated siding can also create a negative impression. Since viewing a home’s exterior from the curb or in marketing materials and online photos is the first exposure buyers are given, it is critically important to make sure that the exterior is in good repair and looks clean and fresh. If the siding is dirty, but in otherwise good repair, cleaning it can help restore the visual interest of your home. Homes that offer buyers an initial view that exudes curb appeal are far more likely to get the level of interest they need to get their home sold quickly and at the best possible price. This is especially important when the prospective buyers are located in other areas and are working on a list of homes to visit at a later date. If the marketing photo shows siding that is ugly or in disrepair, most buyers will either lose interest in the home completely, or discount its value, should they decide to make an offer. Another reason for sellers to replace worn, damaged or dated siding is to help ensure the appraisal process is a positive one. The value given to a home during the real estate appraisal process is typically used as a basis on which the buyer’s mortgage is approved. During the site visit for the purpose of appraising the home, the real estate appraiser must note issues that relate to the overall value of the home. If the appraiser finds that the siding is damaged and in need of replacement, the appraised value they give will be lower than it might have otherwise been. Another reason for home sellers to consider replacing their old siding before putting their home on the market is to help facilitate the home inspection process. Siding that is sagging or has holes in it will certainly be noted on the home inspector’s report. Since buyers are likely to want anything noted in the report addressed, they will want the siding to be repaired or replaced or demand a discount on the purchase price, instead. In addition, if the home was built back in the 1940s or 1950s, the old siding may contain asbestos, which is now known to cause serious health issues. Homeowners who have asbestos siding on their homes will need to contact a local contractor to identify the best way to remove these materials and install updated siding. Anyone working with asbestos siding must always wear protective gear, including breathing protection when handling, removing cutting, or drilling any surface that contains asbestos. Even if you are not planning to sell your home in the near future, adding new siding can still be a smart, and very economical thing to do. Many new siding products offer better insulation values, which will translate into lower energy bills for both heating and cooling. 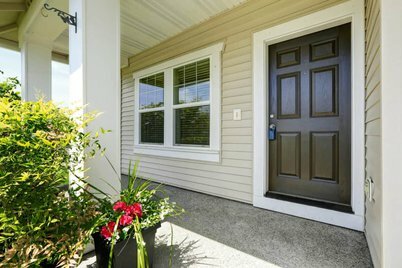 Are you ready to improve your home’s exterior? Let’s work together. The Bloomfield Construction team has more than 20 years of experience, and can help you plan for the perfect siding updates to improve your house’s value.